Looking sharp is as much about wearing clothes that fit as it is about style. When it comes to things like colour, pattern and material, you can follow the rules or break them and still look good. Fit is different. You might mix and match stripes with checks, but you’d never wear an ill-fitting jacket over perfectly tailored pants. (At least, we hope you wouldn’t). Like they say: If your suit fits, they notice you. But if it doesn’t, they notice the suit. 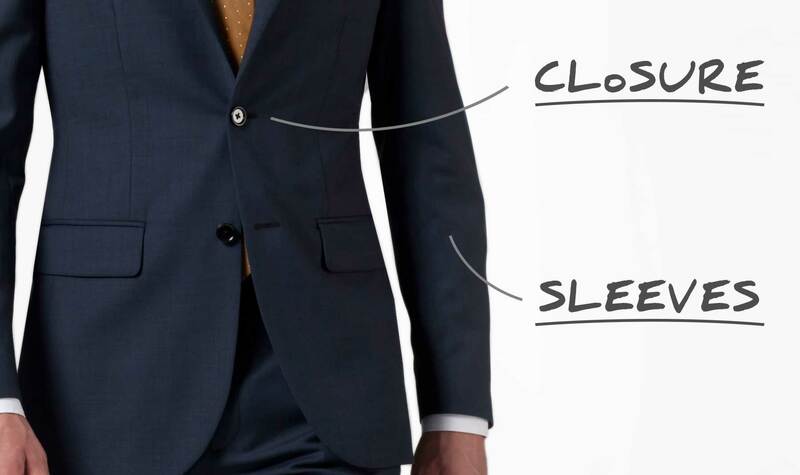 Here are a few pointers on the most important elements of how a suit should fit. The collar should be smooth against your neck with no bunching or gaping. The shoulders should be rounded and smooth with no dimpling or rumpling. 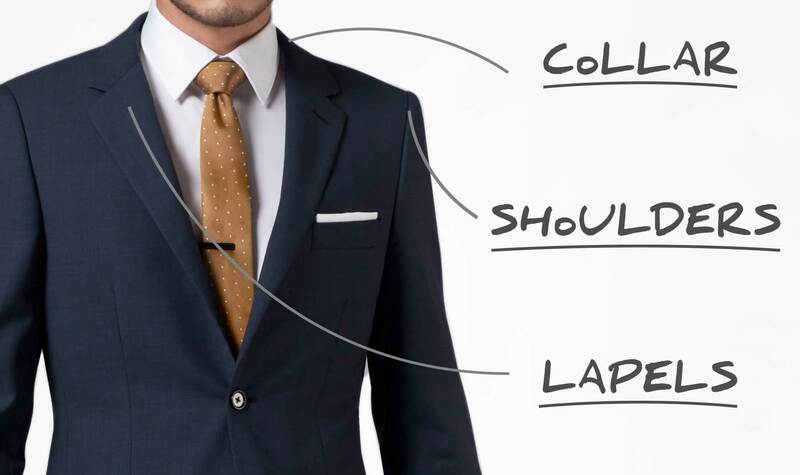 The lapels should be flat and smooth against your chest. The jacket should be fitted to your body with no major creasing or pulling across the closure. The sleeves should be smooth with minimal twisting and end just above your wrist, leaving about half an inch of your shirt sleeve exposed when your arm is straight by your side. The vents should lay flat perpendicular to the ground—no flaring or tugging. The seat should be smooth with no creasing or sagging. 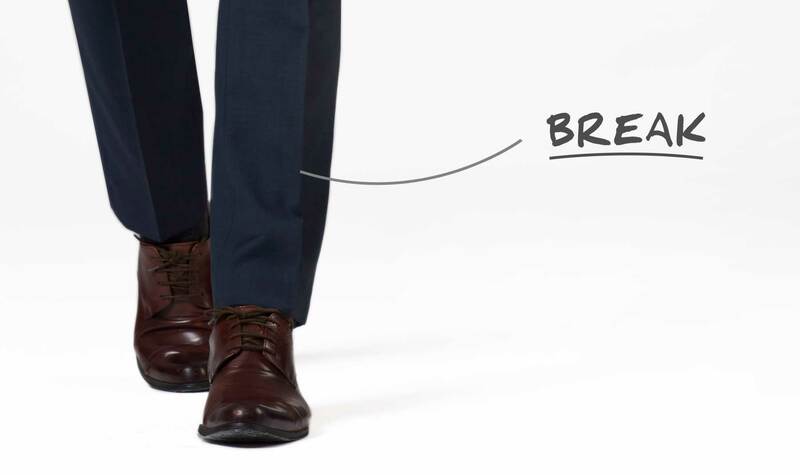 The break should naturally crease just above your shoes. Find your perfect fit with custom. Explore our suits.